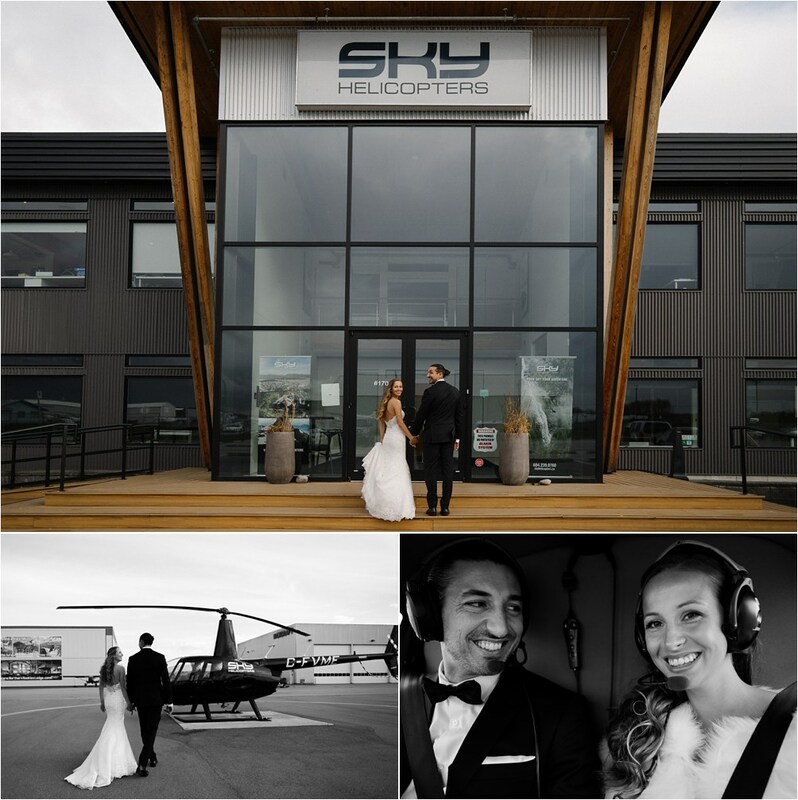 I recently had the incredible privilege of photographing Jo and Melina’s Vancouver Helicopter Elopement marriage ceremony. 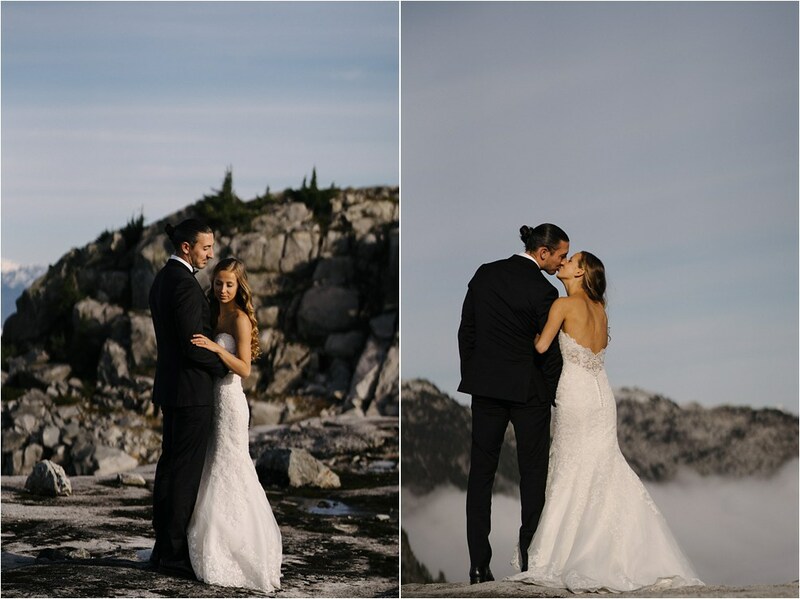 I’ve done many elopements before, but this one, 5000 feet up and above the clouds was an experience like none other in my history as a wedding photographer. I want to start with a huge shout out and thank you to Young, Hip & Married for the opportunity to participate in this awesomely unique photo shoot! 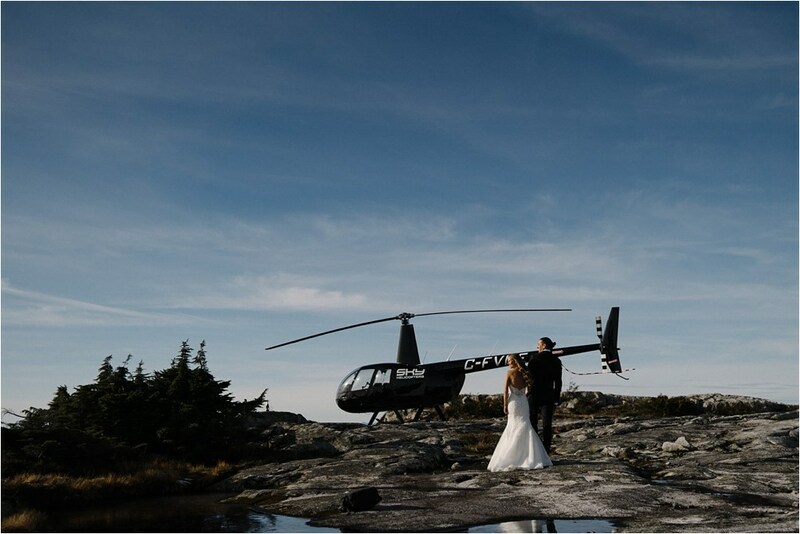 As well, a big thank you to Sky Helicopters, especially pilots Ryan and Alan, for their skill in delivering us all to an actual mountain-top for the ceremony and photo-shoot! I wanted to share a few details about Melina and Jo, their love story, and their one-of-a-kind ceremony: These two originally met in India, but they were far from home (her from Germany, him from Canada), which is pretty incredible when you think about it. I am always amazed how, in our global world, with people traveling more readily than they ever have in the past, people can find their perfect person in the most unexpected of places. It seems like kismet that the two met because they also share a career passion—yoga. It was their training as yoga instructors that took them both to India. 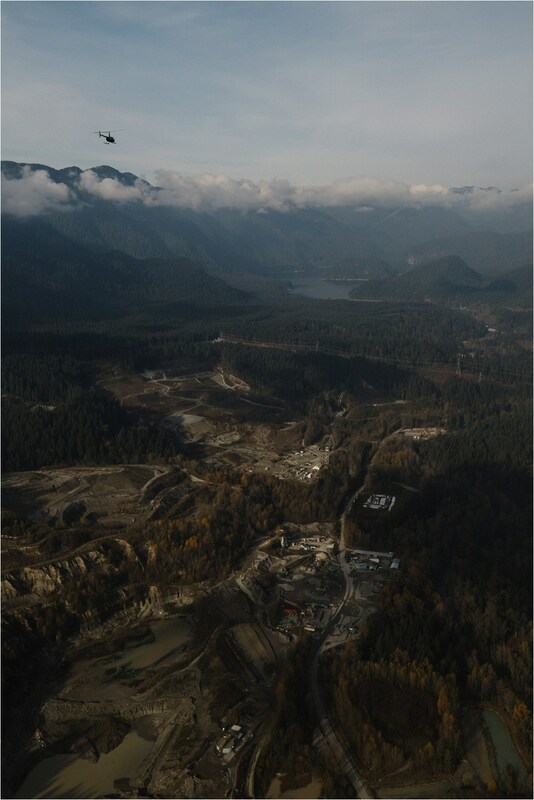 Together, they did a bit more globe-hopping to Toronto and now Vancouver. Along the way, they started a family together and now are the proud parents to an 8-month-old baby boy! Melina and Jo wanted to make their commitment to each other in a big, big way that included something special just for them. 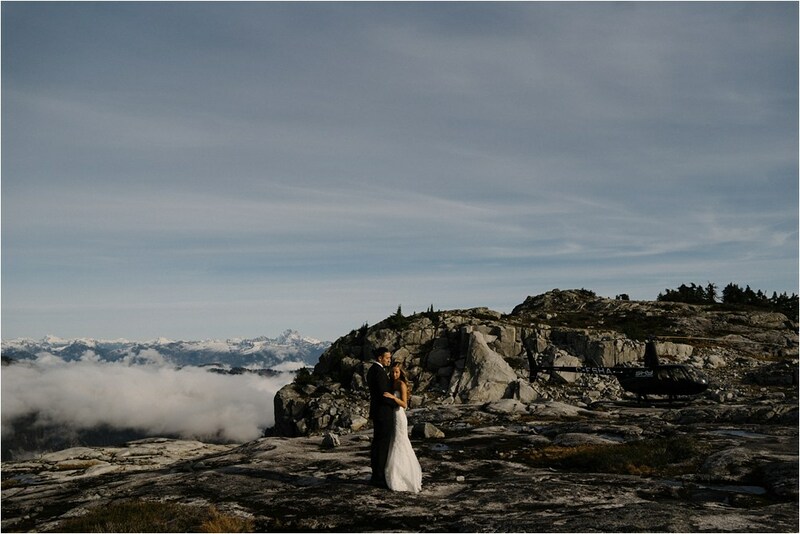 This led them to an elopement near Pitt Meadows BC. 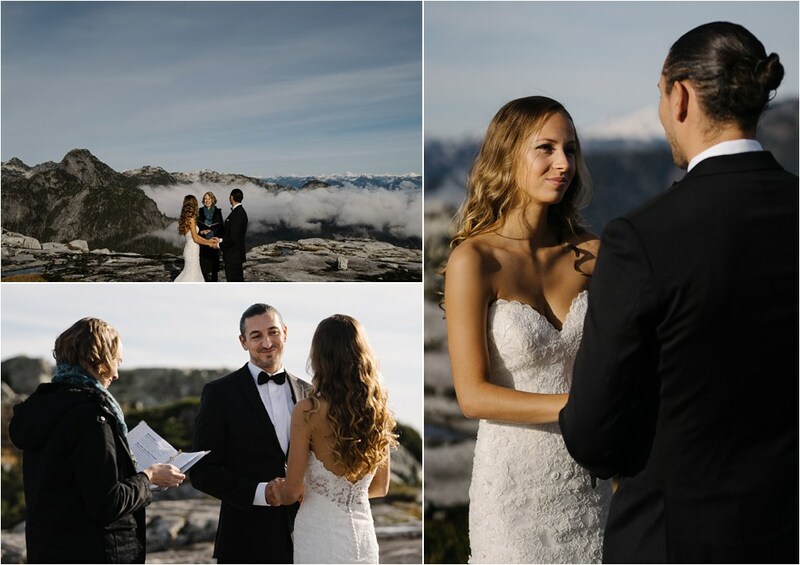 Traveling by helicopter to 5000 feet up, their ceremony was actually surrounded by wispy clouds and brilliant skies. 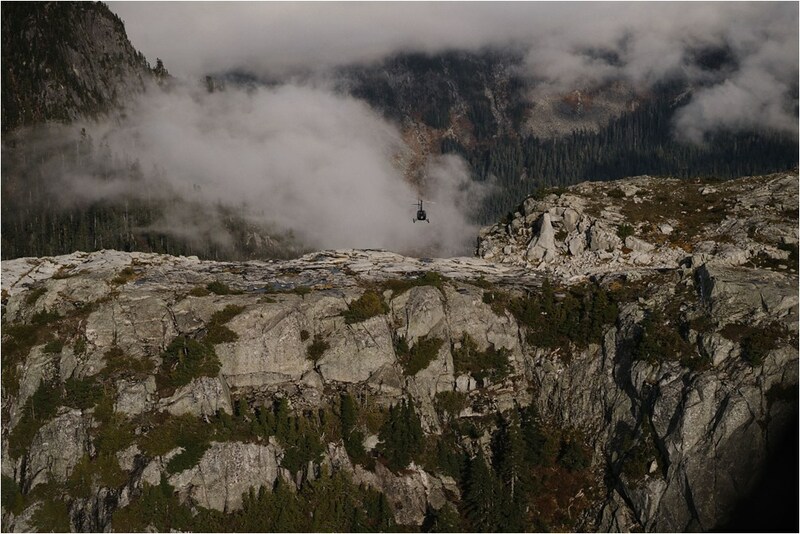 I am always impressed when two such kindred spirits find one another and carve their own path in whatever manner fits them best, even if it takes them right on up a mountain. My favorite thing about these photos is that it’s easy to see Jo and Melina’s love shine through. I was also reminded how much I enjoy this job and how wonderful it is to do the work that I do. I get to share in people’s joyful and intimate moments and sometimes it takes me to my own big moments too! Thank you again to everyone involved who let me be a part of this unique day! Officiant: Kadee Smedley from Young, Hip & Married.